Gastric bypass has become the gold standard of therapy because of the limitations of stomach stapling, which result in less weight loss than the bypass procedure and can fail over time, leading to regained weight or the need for repeat surgery. 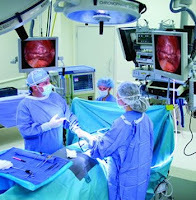 See more about Gastric bypass in here What is Gastricpass Surgery. The surgery may be lifesaving for those who haven't been able to lose weight any other way plus coz of their weight can make their life threatened. After the first 18 to 24 months after the operation, most patients lose weight quickly and many maintain a long-term weight loss of as much as 100 pounds. According to the National Institute of Diabetes and Digestive and Kidney Diseases, in one study blood sugar levels in 85% of obese patients with diabetes returned to normal after surgery. Women in their reproductive years who want to have children can do so after the surgery but should wait until their weight stabilizes since rapid weight loss and the nutritional deficiencies that can occur after surgery may harm a developing fetus. See more about weight loss and pregnancy in here Your weight before pregnancy. Between 10 - 20%of patients will require follow-up operations to correct complications, usually an abdominal hernia. Breakdown of the staple line and stretched stomach outlets. Bowel obstruction and leaking or narrowing of the site where the stomach pouch is reconnected to the small intestine. Some patients develop gallstones, which are always a risk with rapid weight lossNearly 30 percent of patients develop such nutritional deficiencies as anemia, osteoporosis and metabolic bone diseases. See more about Weight Loss Surgery Risks.